This PIC16F876A is a 28-pin Flash-based 14 KB microcontroller with 5x 10-bit A/D Converter, 2x comparators, UART, A/E/USART and SPI, I2C1-MSSP (SPI/I2C) peripherals. 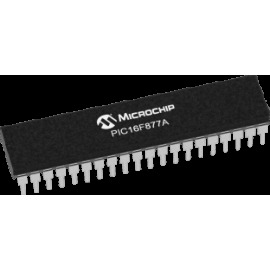 This PIC16F877A is a 40-pin Flash-based 14 KB microcontroller with 8x 10-bit A/D Converter, 2x comparators, UART, A/E/USART and SPI, I2C1-MSSP (SPI/I2C) peripherals. 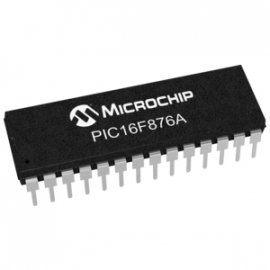 The PIC18F2553-I/SP is a high-performance 8-bit Microcontroller with 16 MIPS of processing power. The PIC18F4520-I/P is an Enhanced Flash Microcontroller with 10-bit A/D and nanoWatt technology.